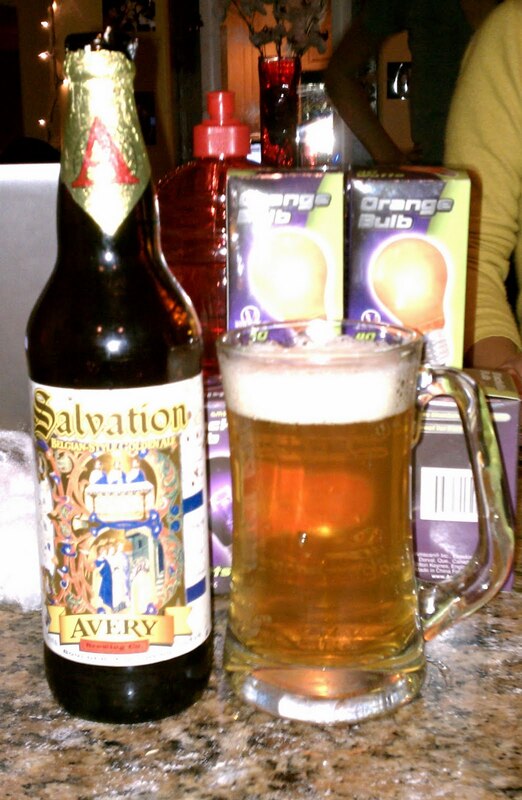 This is a hell of a beautiful golden ale to look at. Being that Belgium golden ales are my absolute favorite type of beer, I was stoked to sip this one down. It looks much less opaque than the Belgians I've had before, and a little lighter in color as well. This baby packs a nice whiff of fruit and flora on the nose, with only a hint of spice. It reminds me of dried apricot paste, the middle eastern kind. It also packs a flavor punch, in the mouth, right where I like it. Yet it's incredible light for being 9% ABV. Kind of like fluffy clouds after a heavy rain, not the usual dense characteristic of most beers in this category. It also has the perfect touch of hops to finish things off, just the right amount for an exceptionally well balanced beer. 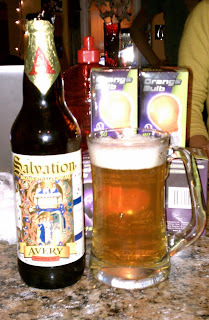 I will be drinking this one often, and looking forward to trying other beers from Avery as well.